Το Guest House Wasabi Kyoto Soba, που βρίσκεται στη Σέντραλ Κιότο, είναι το ιδανικό σημείο αναχώρησης για τις εκδρομές σας στη Κιότο. Από εδώ, οι επισκέπτες μπορούν να έχουν άμεση πρόσβαση σε όλα όσα η πόλη έχει να προσφέρει. Με την βολική του τοποθεσία, το ξενοδοχείο προσφέρει εύκολη πρόσβαση στους προορισμούς της πόλης που πρέπει οπωσδήποτε να δείτε. Επωφεληθείτε από ένα πλήθος ασυναγώνιστων υπηρεσιών και ανέσεων σε αυτό το ξενοδοχείο της Κιότο. Κορυφαία χαρακτηριστικά του ξενοδοχείου συμπεριλαμβάνουν τα δωρεάν WiFi σε όλα τα δωμάτια, αυτόματο πλυντήριο, χώρος καπνιζόντων, θυρίδες, κοινόχρηστο σαλόνι/χώρος τηλεόρασης. Ελάτε σε ένα από τα 1 φιλόξενα δωμάτια και ξεφύγετε από τα άγχη της ημέρας με μια ευρεία γκάμα ανέσεων, όπως κρεμάστρα ρούχων, θυρίδα, σύνδεση internet (ασύρματη), ασύρματη σύνδεση internet (δωρεάν), δωμάτια για μη καπνίζοντες, που θα βρείτε σε ορισμένα από αυτά. Εξάλλου, το ξενοδοχείο διοργανώνει πολλά ψυχαγωγικά δρώμενα έτσι ώστε να έχετε πολλά πράγματα να κάνετε κατά τη διαμονή σας. Όποιος κι αν είναι ο σκοπός της επίσκεψης σας, το Guest House Wasabi Kyoto Soba είναι μια εξαιρετική επιλογή για την διαμονή σας στη Κιότο. The property’s gate is closed from 01:00 AM to 05:00 AM. Kindly contact the property for more details. Οι επισκέπτες ηλικίας κάτω των 18 ετών που ταξιδεύουν χωρίς γονείς πρέπει να παρουσιάσουν μια επιστολή συγκατάθεσης υπογεγραμμένη από τους γονείς τους. Φόρος 200 JPY - για τιμή δωματίου έως 19.999 JPY ανά διανυκτέρευση. Φόρος 500 JPY - για τιμή δωματίου από 20.000 JPY έως 49.999 JPY ανά διανυκτέρευση. Φόρος 1.000 JPY - για τιμή δωματίου από 50.000 JPY και πάνω ανά διανυκτέρευση. This hostel is quite cute, built in a traditional Japanese house. The stuff is very nice and there is a nice common area by the entrance were you can chill and meet other travelers. 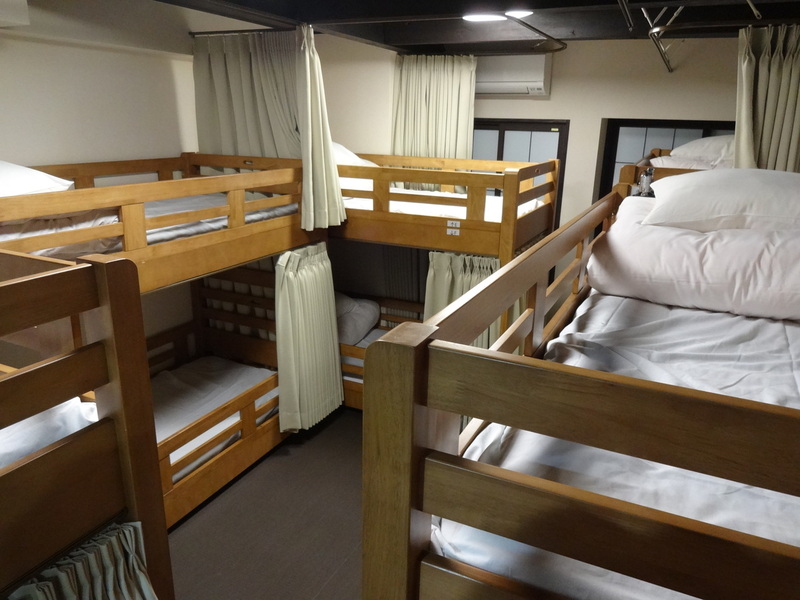 The place was clean and the beds are comfortable. It is close to many bus stations so it's easy to reach. Great place to stay. Female dorm is as mentioned small and no room for luggages but you just got to be creative with the space. It's definitely going to work if you have only carry-on. The facilities are great. 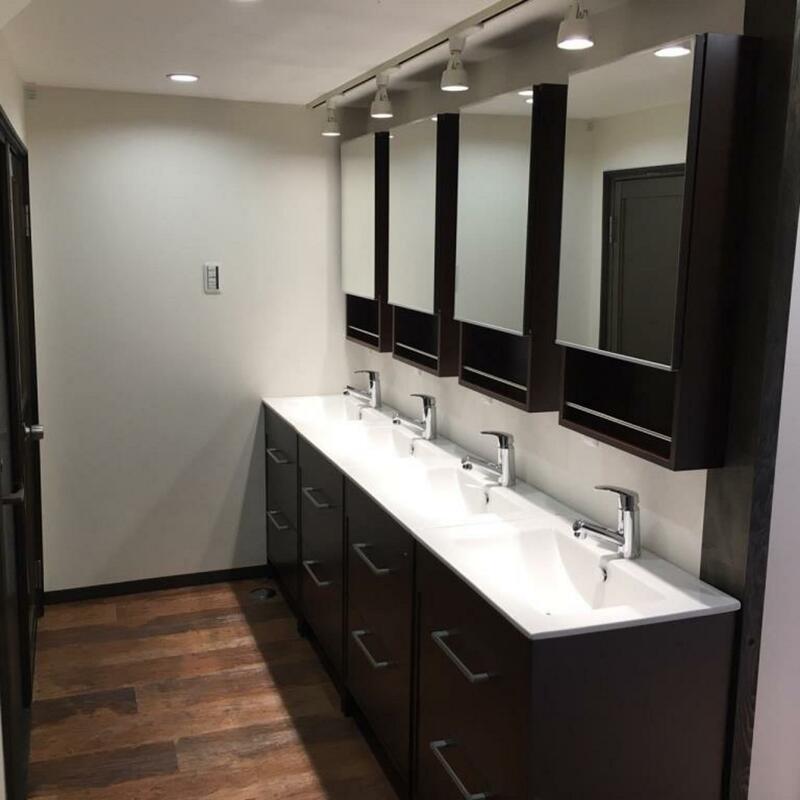 Showers and washrooms are located in the first floor and that's not a problem at all. Location is great with buses and some sightseeing places are within walking distant. I would stay here again! Very nice staff. Location not centric but ok by bus. Some complimentary facilities. We were 2 in a room of 3. That was perfect. Maybe the double would feel small. Great I could try kimono free. we loved our stay here. Super friendly staff. They will help you as much as they can. Very easy access. Near bus station. Free coffee. Free soup. Open bar where you can eat. Great value for money You can check in your luggages even if it is not yet your check in time. 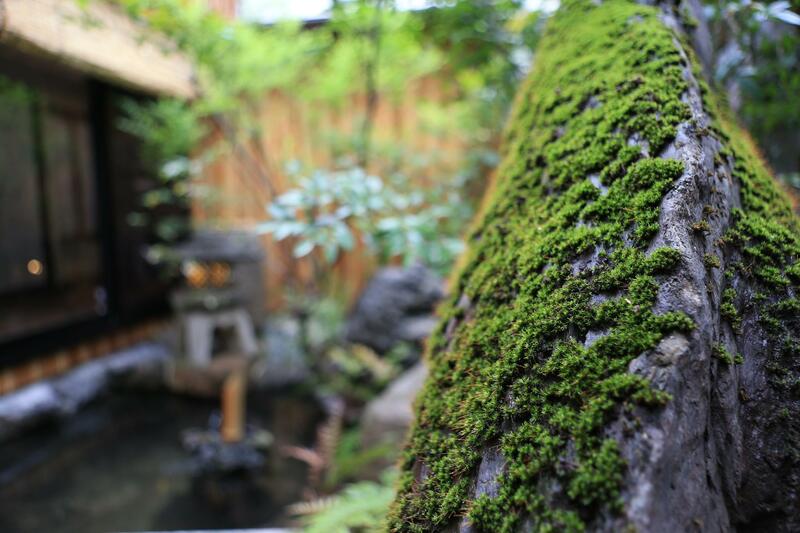 The place was of traditional Japanese style. There was also a lovely Japanese garden! The residence was very close to the bus stop, from where you could take the bus to Nijo-jo castle and many other famous places in Kyōto. The staff can speak pretty good English so the foreign tourists do not need to worry about the communication problems. Location was a bit tricky. So coming from Omiya station there is bus that stops in front of the hostel (bus number 50) which u can also take from Kyoto station. The room, free drinks and cookies were just more than enough to make me wanna stay looooonger! Also, there is a nearby grocery store and family mart. Plus the hostel serves awesome food! You get to try wearing a kimono for free as well! The bed, toilet and bath were clean! The staff were all helpful. Will stay again when i come back!!!! The bus does practically stop on the doorstep, but the line isn't particularly convenient, requiring at least one bus change regardless of where you are going. Staff were very helpful and provided a vegetarian option for breakfast without qualm. A bit far from the station and tourist attractions, but well connected by frequent busses which we didn't know about before the arrival. 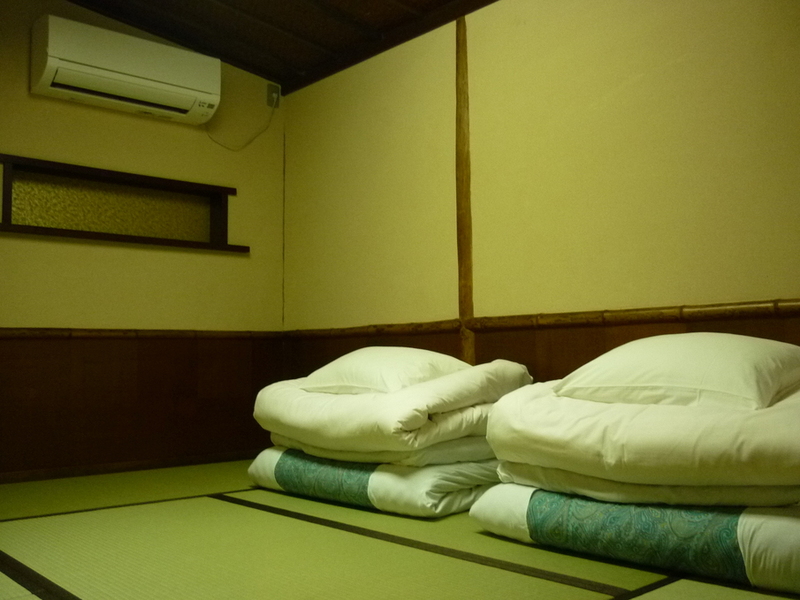 the room had only tatamis and futons, no table, no tv, no bin, very basic, which is a bit Spartan for the price. Also the walls are paper thin so you can hear everything. 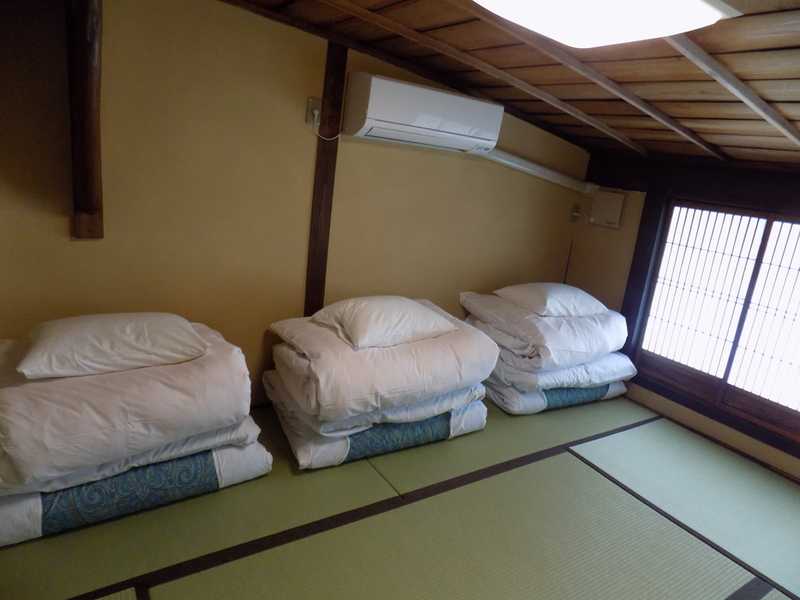 However the hostel inner garden is amazing and gives this it a lot of charm and a real traditional old ryokan atmosphere. There is also a Japanese hot bath which is a plus! Thank you for taking the time to share your review of your stay. We are incredibly delighted to hear about your amazing experience during your staying with us. Very appreciative for your comments about our location, our staffs and service. We keep working hard to make our guest happy. We hope to see you again. Our only negative comments are: 1) The smoking area is too small and too close to the shower area. When there are multiple guests smoking there, the smell of the smoke traveled everywhere. So after you shower, you immediately smell like smoke which is uncomfortable for non-smokers like myself. The smoking area should be located where there is less traffic or have two separate shower areas. 2) The water temperature of the shower is inconsistent. It switches from extreme cold to extreme hot all the time without actually turning the nob. This time Thank you for staying at the WASABI Kyoto SOBA Seemed to relax during your stay, the staff will have delighted. We are sorry for inconvenient about smoking area and shower rooms. We will do our best to improve our service. 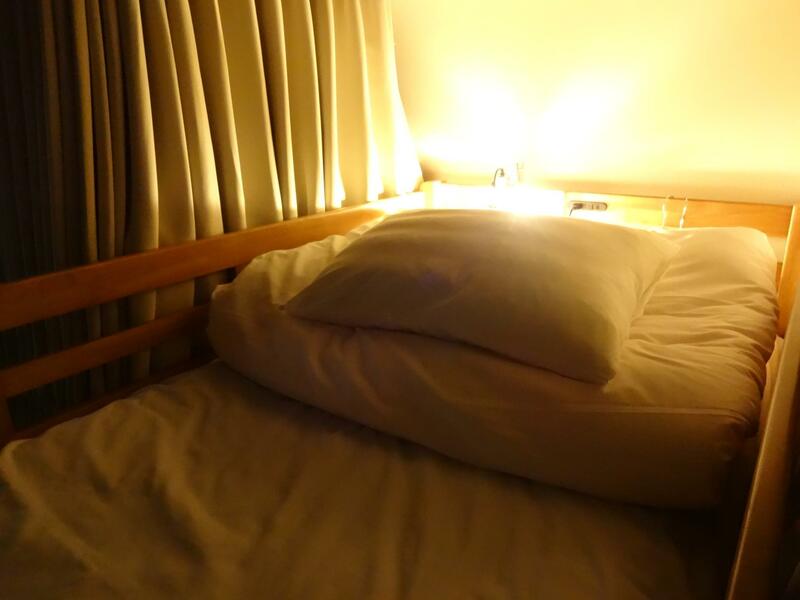 So we will continue working to create atmosphere where you can stay more comfortable, We look forward to you again. 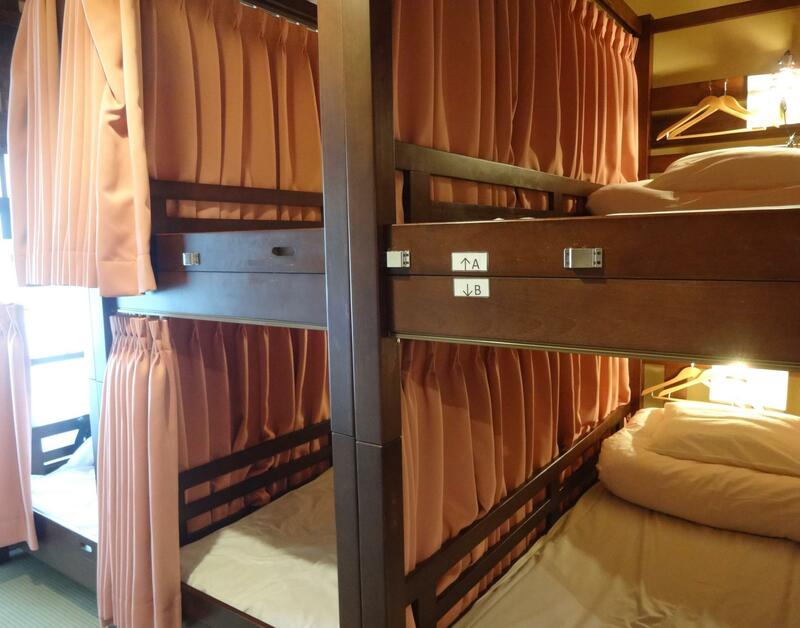 Pros +Bus stop right in front of hostel, about 30 minutes to Kyoto Station +Cosy place, bunk beds with curtain for privacy +Shower and laundry equipments +Daiso and Uniqlo across the street for your travel needs. Also Family Mart Cons +Little storage space. Reconsider if you have multiple large suitcases in group. +Curfew. But then again Kyoto pretty much shuts down around 8pm so it worked out? It's a relaxing place abit off center from the main attractions but you can pretty much go anywhere with bus. Staffs are very accomodating. You can get anything you need from the counter or the shops across the street. I can't quite write a negative that I feel strongly about. If anything, going anywhere requires 30 minutes buffer if you make Kyoto Station as your center point, so consider that in your itinerary. Since absolutely everywhere gets super crowded if you go out late. Good place overall. helpful staff, but overall the place feels a little crammed with only 2 bathrooms and 3 showers. 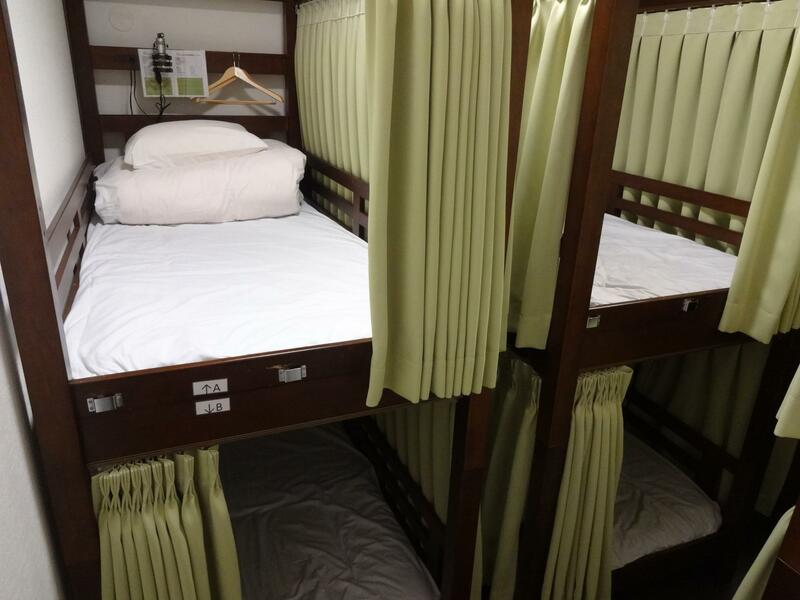 Not real capsule hostel but double bunks with curtains. location is okayish, will need short bus ride or rent a bike to most things. Thank you for your staying and nice review. 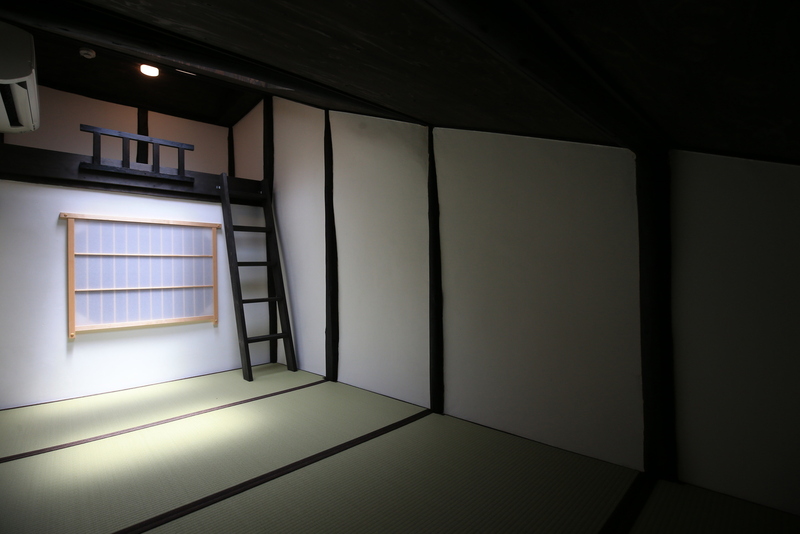 We renovated the old traditional Japanese house. Our traditional houses have relatively small space for one room. I hope you understand our Japanese traditional aspect. We keep doing our best for our guests. I slept for two nights,and it is really nice place,the staff cleaned every day,and the party it hold it's a very happy experience in Japan,if next time I go to kyoto,I will choose the hotel,I had a great fun. I feel like made a successful choice to book this hostel. staffs working were really nice and kind. thank you for greeting me kindly! the room and bathroom, shower booth was clean, and has simple shower supplies. but a few thing uncomfortable were that private space is not wide so I had to put my luggage in another room and the bedroom was a little bit cold. except these things, the hostel was really good. Also the hostel has tea, some snacks for free and you can also use microwave. 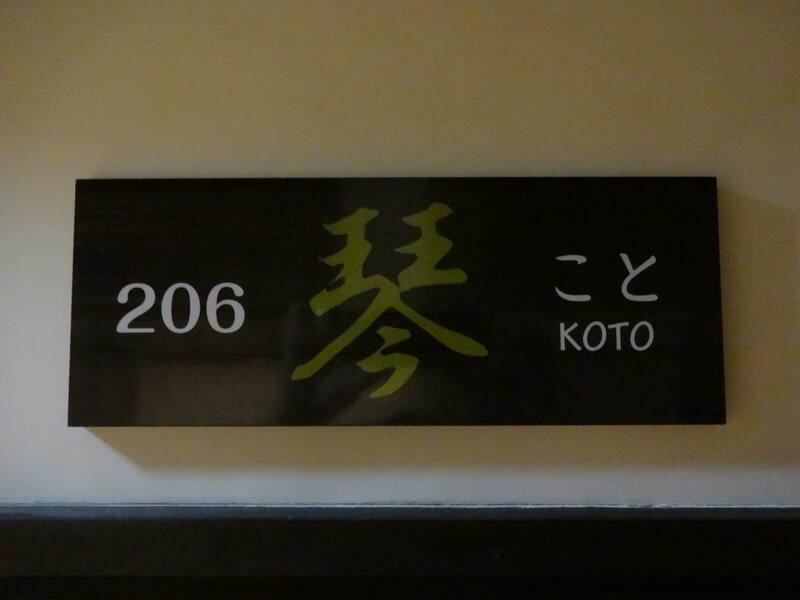 I'd like to reserve this hostel when I travel to kyoto again someday. They are really kind, place well located, clean and confortable. The place is clean, staff were nice and accommodating and accessible for commuters ..
We thank you for your positive feedback featuring words of praise. Very appreciative for your comments about our location, our staffs and service. We are always welcome your stay here, support your travel for better experience and looking forward to seeing you in the near future! The place is close to a bus stop, the price is great, the room is small but enough space for the three of us.. Bathroom & shower is great, the staff is very kind and helpful.. in conclusion this is the best place to stay, definitely gonna stay again if there's opportunity.. thanks! Basic hostel. Breakfast was standard but it's nice not having to worry about it. There is a bus stop right in front of the hostel which can take you to most tourist destinations. Also nearby is a Family Mart, Daiso, and a Uniqlo! A cute and lovely hotel with good price, and all the staff is nice. 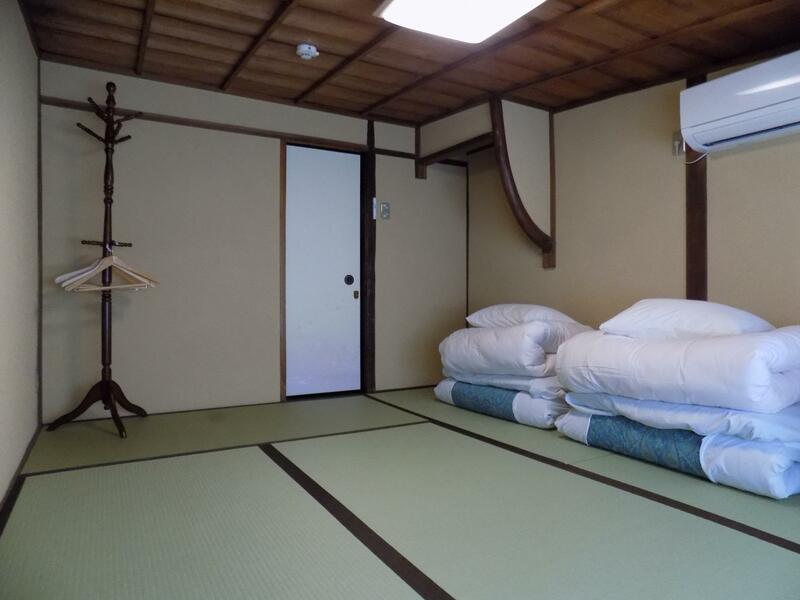 A special shower room behind the living room surprised me a little because i had an onsen there. 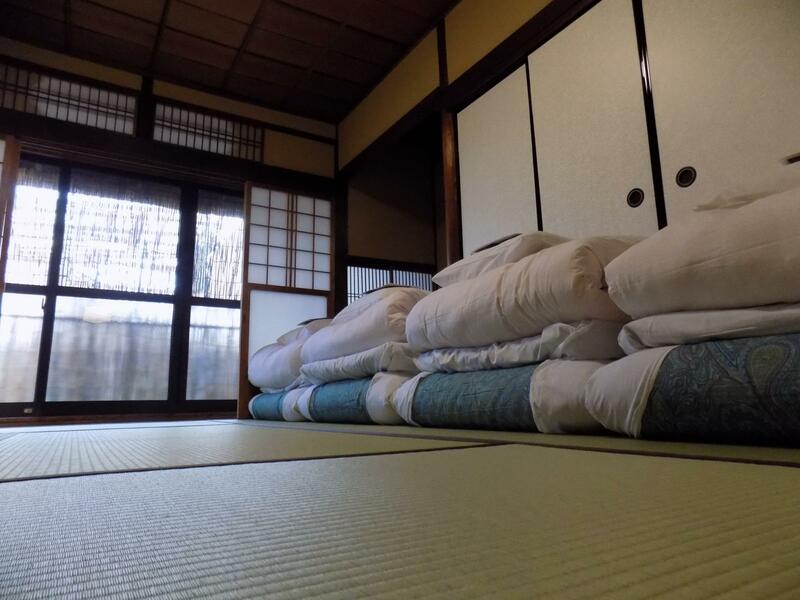 Recommendation for traditional Japanese tatami house. Σταθμός Υπόγειου Σιδηρόδρομου Imadegawa στα 1.19 χλμ.